We act as catalyst for bringing about behavioural change at the workplace. We design and develop programmes for influencing behavioural change that will benefit the organisation and individuals. 3L Consultancy Pte Singapore has been voted as one of the ten top preferred vendors in 2013 at the 8th Annual HR Vendors of the Year Award by Human Resources magazine. Read more about it here. 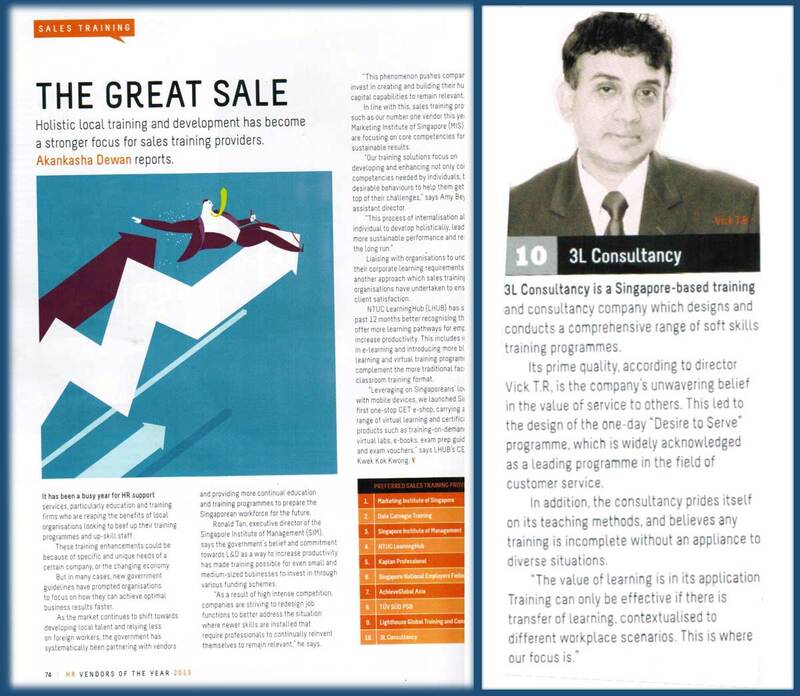 A total of 1,246 HR professionals across various industries, with nearly 80% holding managerial roles and above, voted 3L Consultancy Pte Ltd as one the top ten preferred service providers in 2013. This accreditation means a lot to us. It shows not only our flagship workshop “Desire To Serve” was the contributing factor, but literally our Desire To Serve our clients has been instrumental for this award. 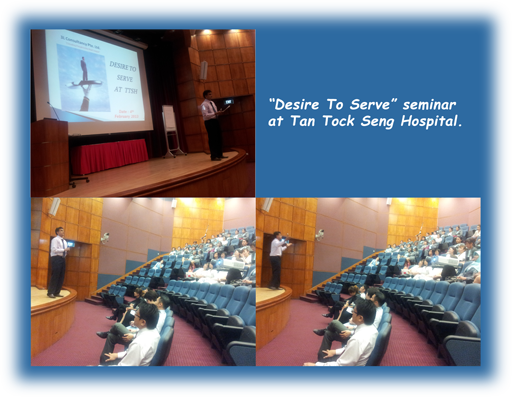 We will continue to provide programmes which will transform behaviours at workplace. We would like to thank all stakeholders for their contribution. One of our founders, Mr Vick T.R. 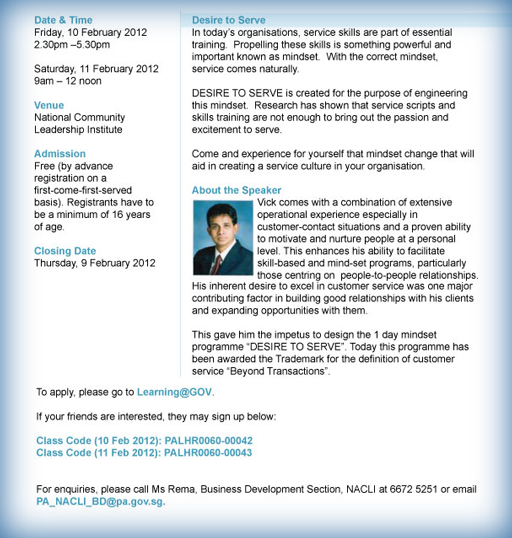 has been invited by NACLI (National Community Leadership Institute) to give a talk on providing service excellence by having the right mindset, having the "Desire To Serve". Last year, Mr Vick T.R. has been invited as one of the guest speakers at the "Discovering Personal Branding at PSB Industry Nite 2011". Check out the event here.